Gorgeous card Pat. Love those warm range tones and the layout is fab. This is gorgeous Pat. I love the image and wonderful colours. Pat, this is stunning. 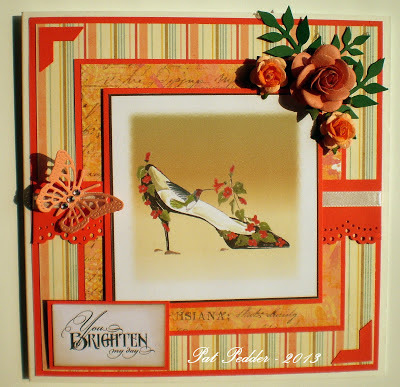 Love the paper you've used and that shoe is gorgeous. What a beautiful image Pat, perfect for this challenge. Love the orange colour scheme, you don't see orange used that often like that. Really pretty card! Oooh lovely Pat, beautiful bright colours and a shoe to die for - drroooool!!!!! 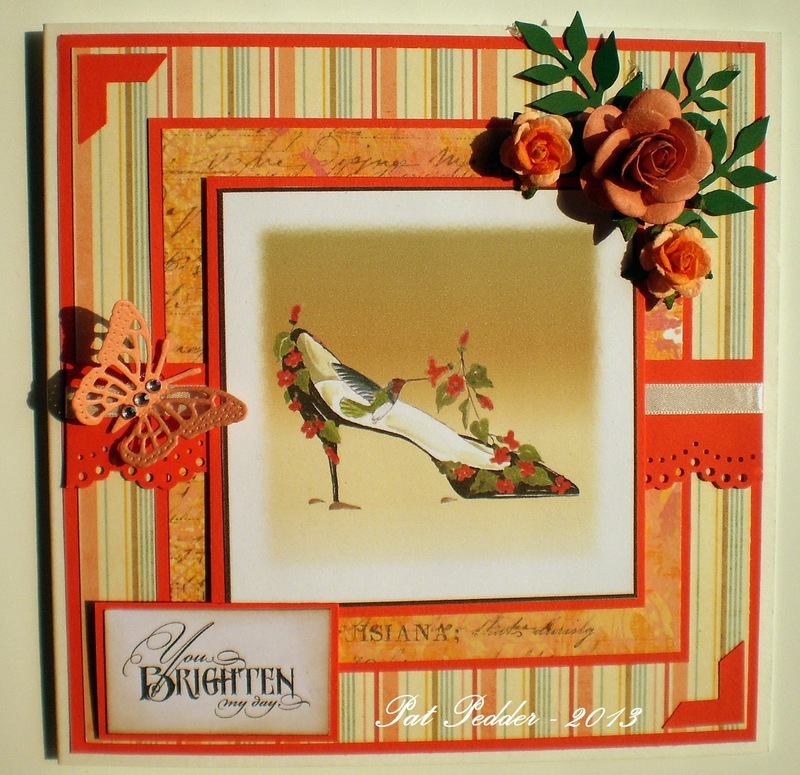 Hi Pat this is a WOW card I absolutely love the wonderful colours and that image a truly wonderful creation. So beautiful!! Thank you for joining our DCD challenge. Gorgeous - could never wear this kind of shoe but the design sure is pretty. Are you a dress up kinda gal?